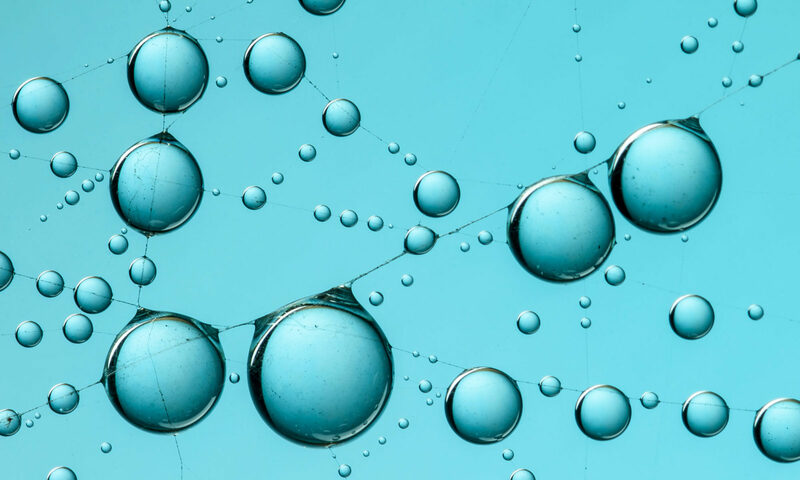 The unique combination of hydrophobicity and photocatalyst realizes HIREC having remarkable long-term super water repellency in the fields. Oil and organic dirt adhered on the HIREC surface is decomposed by photooxidative decomposition, which forms a fresh HIREC surface constantly. Surfaces of the field constructions get dirty by a variety of grit and dust, oily and organic matters contained in the emissions, bird droppings, and so on. The oily or organic materials deteriorate water repellency and grime airborne grit, dust and ash on it. The grimed dirt sticking on the surface may not be washed out by a rainfall which may cause the water repellency of the surface to deteriorate. 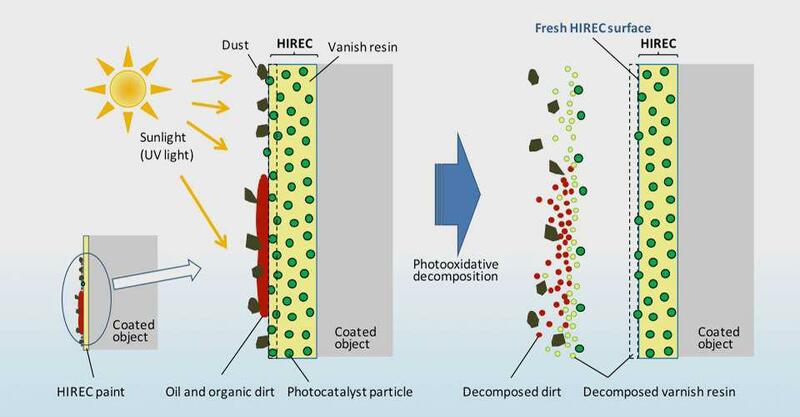 HIREC integrates photocatalytic material which has strong UV photooxidation. The photocatalytic material photooxidizes and decomposes the oily and organic matters by UV light. The decomposed oily and organic dirt griming grit and dust become easy to peel off and are to be washed out by a rainfall. In addition the surface layer of HIREC is also decomposed in molecular level, and thus a fresh HIREC surface is formed constantly. Organic dirt is decomposed by photocatalyzed reaction of photocatalystic particles. Reactive oxygen species are easily-transferred on the hydrophobic surface, and photooxidates dirt even on the surface with no photocatalytic particle. HIREC coated surface maintains super water repellency in long terms by means of decomposing the dirt and refreshing the coated surface.